Wednesday was a rainy day in Gettysburg, but it seems appropriate weather when contemplating the history of the place. Nearly 50,000 of the 164,000 combatants in the Battle of Gettysburg lost their lives during the three-day hell. The hills and forests must have been literally slick with blood and littered with bodies. It’s a strange thing, driving these roads, looking out over the fields. I wonder how the people felt as the armies assembled. As the cannons began to boom. As distant gunfire whizzed through the air like a host of demons. Approximately 148 years ago, and only a few months after the battle, a somber man stood before a crowd of people in central Pennsylvania and gave a two minute speech. So little was expected of it that the five remaining manuscripts show discrepancies and even differ from some of the newspaper accounts from that time. He gave a speech about the great civil war that raged on and how it tested our nation’s resolve. And I wonder about our nation now. That’s one thing I’d like to find on this trip: signs of unity. Churches working with those who do not believe in God; liberals and conservatives coming together for the common good; very different people serving with one another to accomplish what they could not have achieved separately. 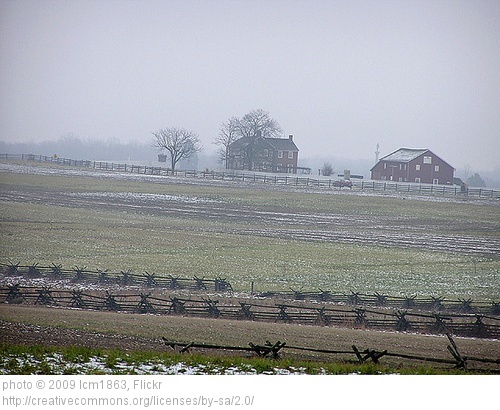 Check out Maile’s take on Gettysburg and why it seems an appropriate place to start off our trip. Also, Leigh Kramer is graciously allowing me to guest post in her new series, “This is How We Met,” and I’m sharing the story of how Maile and I met. You can check that out HERE. hope that you guys have a great, safe trip Shawn! I am looking forward to living your journey alongside you from home. Thanks, John. Miss you, man. Hope you are well.